Vallarta Gardens Resort & Spa inaugurated the new Reef Collection villas with an investment of approximately $25 million, which will include the construction of 16 new villas as well as others in the Coral and Sky Garden collections; a spa and a gym are also planned, in addition to the Sea Star group of villas. 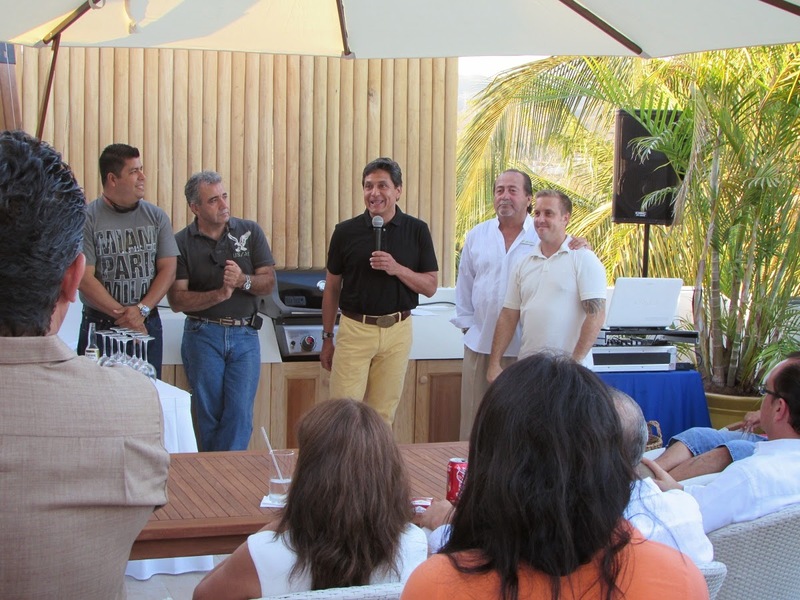 Vallarta Gardens Resort & Spa inaugurated its new Reef Collection villas in La Cruz de Huanacaxtle, the Nautical Capital of the Riviera Nayarit. The development will include 16 new villas, each with its own unique design. “The project we’re managing is not your standard or usual hotel accommodations: we call it categoría especial (special category), as they aren’t hotel rooms, they’re villas and each villa belongs to a distinct collection,” explained Jesús Carmona, Director of Operations for Vallarta Gardens. The Reef Collection villas boast two well-equipped rooms on the first floor with a penthouse on the second, which includes two rooms with a private pool and Jacuzzi. “Our market encompasses foreign visitors from the United States and Canada as well as the very well-off domestic travelers; right now we’re seeing a resurgence of the visitors we classify as ‘five-star,’ which is why we decided to go this route,” added Carmona. The total investment of this future development will add up to approximately $25 million and includes not only the Reef Collection, but also the Coral Collection—another series of villas—plus the Sky Garden, which will consist of three buildings with 42 units each. At this time they already have 56 villas in place; the $25 million investment is the sum total of this master plan that will be built over the next four years. The project will be under construction during those four years, as they will also add in a spa and a gym. There are already five pools in place, with three more to come. Future projects also include the construction of a small marina. The Riviera Nayarit CVB would like to congratulate Carlos Rivera, the General Director of Vallarta Gardens, for such an excellent product and for his magnificent vision, which will greatly enhance the growth and development of the region of La Cruz de Huanacaxtle. This project dovetails perfectly with the CVB’s objective of increasing Premium Tourism to the area. La Cruz de Huanacaxtle, Nautical Capital, NEWS, Riviera Nayarit, Vallarta Gardens Resort & Spa, Villas.